Orchid Fusion introduces the versatility of an Internet of Things (IoT) ecosystem to the surveillance industry, bringing together both traditional and embedded VMS servers into a single platform. What’s really special about Orchid Fusion is its IoT capabilities – it supports embedded devices as fully functional VMS servers. 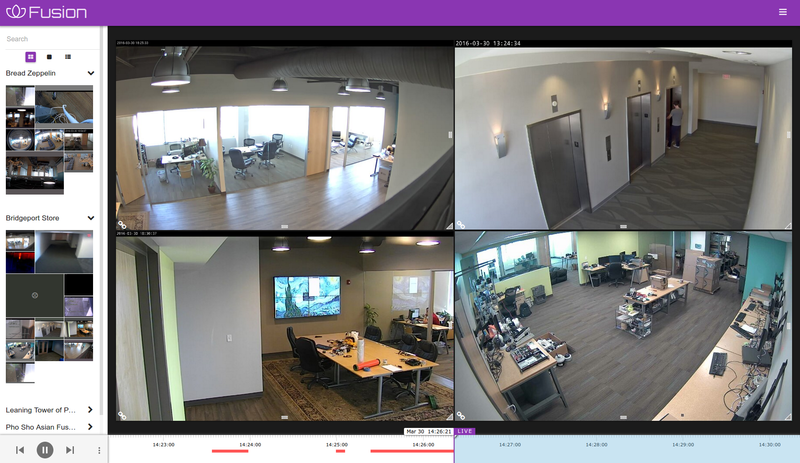 IPConfigure announces Orchid Fusion, a new, multi-location Video Management Software (VMS) system that is paving the way for secure, cross-platform surveillance. Orchid Fusion introduces the versatility of an Internet of Things (IoT) ecosystem to the surveillance industry, bringing together both traditional and embedded VMS servers into a single platform. Featuring a contemporary and dynamic web interface, Orchid Fusion has broad ONVIF camera support, advanced retention and recording settings, and sophisticated remote access capabilities such as a low-bandwidth mode. But what’s really special about Orchid Fusion is its IoT capabilities – it supports embedded devices as fully functional VMS servers, extending the ability to view live and recorded video from devices such as IP cameras and single-board computers, all from a single, unified interface. Acclaimed for its adaptability and low total cost of ownership, Orchid Fusion supports Windows and Linux environments and conforms to existing infrastructures while reducing hardware, licensing, IT, and training costs. In additional to its IoT focus, Orchid Fusion boasts the latest in security by supporting the SRTP encryption standard across all traditional and embedded Orchid VMS servers. With this technology, Orchid Fusion allows secure end-to-end video and audio access over any public network, providing users with the most secure and efficient VMS solution available. Orchid is used by customers ranging from small business owners to some of the world's largest global retailers. Orchid Fusion, along with the rest of the Orchid Product Family, is featured in IPConfigure's interactive IoT demonstration table. For a firsthand experience of Orchid running on a variety of devices, including Axis IP cameras, Raspberry Pi single-board computers, Buffalo NAS devices, and Razberi SmartSwitches, visit Booth No. 22067 at ISC West from April 6 - 8 in Las Vegas. Can't make the show? Email sales(at)ipconfigure.com for more information. Orchid Fusion will be available in Q2 2016 and distributed through Anixter, CSC, Graybar, Ingram Micro, and ScanSource. Founded in 2003 and headquartered in Norfolk, Virginia, IPConfigure, Inc. is a leading developer of IP video surveillance solutions. IPConfigure offers a variety of products, including video management software, license plate recognition, and video surveillance appliances and servers, available from global resellers and integrators. For more information about IPConfigure, please visit our website at http://www.ipconfigure.com.